Colours: Black. Features: Water Repellent, Windproof, Full front zip, Zipped front pockets, Soft elasticised cuff, Adjustable hood, Hangtag, Fashionable quilted design, Fashion fit, Super air-soft handle with hand filled polyester fibre â€“ uniquely light for such a padded garment, Quiet to wear, Super lightweight and warm. Materials: 100%20D Nylon. Sizes: S- 3XL. Colours: Charcoal / Orange. Features: Water Repellent, Windproof, Full front zip, Zipped front pockets, Soft elasticised cuff, Adjustable hood, Hangtag, Fashionable quilted design, Fashion fit, Super air-soft handle with hand filled polyester fibre â€“ uniquely light for such a padded garment, Quiet to wear, Super lightweight and warm. Materials: 100%20D Nylon. Sizes: S- 3XL. Colours: Navy. Features: Water Repellent, Windproof, Full front zip, Zipped front pockets, Soft elasticised cuff, Adjustable hood, Hangtag, Fashionable quilted design, Fashion fit, Super air-soft handle with hand filled polyester fibre â€“ uniquely light for such a padded garment, Quiet to wear, Super lightweight and warm. Materials: 100%20D Nylon. Sizes: S- 3XL. Colours: Navy / Yellow. Features: Water Repellent, Windproof, Full front zip, Zipped front pockets, Soft elasticised cuff, Adjustable hood, Hangtag, Fashionable quilted design, Fashion fit, Super air-soft handle with hand filled polyester fibre â€“ uniquely light for such a padded garment, Quiet to wear, Super lightweight and warm. Materials: 100%20D Nylon. Sizes: S- 3XL. Colours: Royal / Navy. 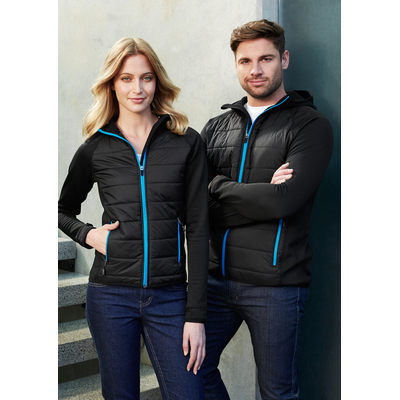 Features: Water Repellent, Windproof, Full front zip, Zipped front pockets, Soft elasticised cuff, Adjustable hood, Hangtag, Fashionable quilted design, Fashion fit, Super air-soft handle with hand filled polyester fibre â€“ uniquely light for such a padded garment, Quiet to wear, Super lightweight and warm. Materials: 100%20D Nylon. Sizes: S- 3XL. Colours: Black. Features: Water Repellent, Windproof, Full front zip, Zipped front pockets, Soft elasticised cuff, Adjustable hood, Hangtag, Fashionable quilted design, Fashion fit, Super air-soft handle with hand filled polyester fibre â€“ uniquely light for such a padded garment, Quiet to wear, Super lightweight and warm. Materials: 100%20D Nylon. Sizes: S- 5XL. Colours: Charcoal / Orange. Features: Water Repellent, Windproof, Full front zip, Zipped front pockets, Soft elasticised cuff, Adjustable hood, Hangtag, Fashionable quilted design, Fashion fit, Super air-soft handle with hand filled polyester fibre â€“ uniquely light for such a padded garment, Quiet to wear, Super lightweight and warm. Materials: 100%20D Nylon. Sizes: S- 5XL. Colours: Navy. Features: Water Repellent, Windproof, Full front zip, Zipped front pockets, Soft elasticised cuff, Adjustable hood, Hangtag, Fashionable quilted design, Fashion fit, Super air-soft handle with hand filled polyester fibre â€“ uniquely light for such a padded garment, Quiet to wear, Super lightweight and warm. Materials: 100%20D Nylon. Sizes: S- 5XL. Colours: Navy / Yellow. Features: Water Repellent, Windproof, Full front zip, Zipped front pockets, Soft elasticised cuff, Adjustable hood, Hangtag, Fashionable quilted design, Fashion fit, Super air-soft handle with hand filled polyester fibre â€“ uniquely light for such a padded garment, Quiet to wear, Super lightweight and warm. Materials: 100%20D Nylon. Sizes: S- 5XL. Colours: Royal / Navy. Features: Water Repellent, Windproof, Full front zip, Zipped front pockets, Soft elasticised cuff, Adjustable hood, Hangtag, Fashionable quilted design, Fashion fit, Super air-soft handle with hand filled polyester fibre â€“ uniquely light for such a padded garment, Quiet to wear, Super lightweight and warm. Materials: 100%20D Nylon. Sizes: S- 5XL. Colours: Black. Features: Water Repellent, Breathable, Windproof, Decorative top stitch, Full front zip, Zip closing front pockets, Chin guard, Elastane-free, crimped yarn stretch easy to print fabric, Micro fleece inner provides extra warmth, Neutral label, Elasticised bound cuff, Slim fashion fit. Materials: softshell. Sizes: sm-3XL. Colours: Navy. Features: Water Repellent, Breathable, Windproof, Decorative top stitch, Full front zip, Zip closing front pockets, Chin guard, Elastane-free, crimped yarn stretch easy to print fabric, Micro fleece inner provides extra warmth, Neutral label, Elasticised bound cuff, Slim fashion fit. Materials: softshell. Sizes: sm-3XL. Outer: 100% Polyester. Inner: Bonded Micro-Ribbed Fleece. Stand up collar with soft chin guard. Contrast side zippered pockets with toggles. Scalloped longer back tail. BIZ TECH TECHNOLOGY. Water Repellent rating - 3000mm. Breathability - 3000g/m². Windproof. Colours: Black/Fluoro Orange/Grey | Black/Red/Grey | Black/Purple/Grey | Black/Green/Grey | Black/Royal/Grey. Front Body: 100% Quilted Nylon Ripstop. Back/Sleeves: 95% Polyester, 5% Elastane Stretch Bonded Fleece. Insulation: 100% Hi-loft Polyfil. Thumb loops to keep hands warm. Insulated quilting on chest front for lightweight warmth. Contrast front zipper and pockets. Stand up collar with intergrated bonded fleece hoody. Colours: Black/Magenta | Black/Lime | Black/Silver | Black/Cyan | Black/Red. Front Body: 100% Quilted Nylon Ripstop. Back/Sleeves: 95% Polyester, 5% Elastane Stretch Bonded Fleece. Insulation: 100% Hi-loft Polyfil. Thumb loops to keep hands warm. Insulated quilting on chest front for lightweight warmth. Contrast front zipper and pockets. Stand up collar with intergrated bonded fleece hoody. Colours: Black/Lime | Black/Red | Black/Silver | Black/Cyan.